Bermuda grass thrives in hot temperatures, high sunlight conditions and shallow soil, making it well-suited for lawns in Arizona. Like most other plants, however, Bermuda grass needs regular watering and fertilizer treatments to meet its full growth potential, especially when exposed to the grueling Arizona summer. While Bermuda grass does require supplemental watering, it needs less water on a less frequent schedule than other, less heat-tolerant grasses. Mow most Bermuda grass varieties to a height of about 1 inch in height. Remove no more than one-third of the grass in a single cutting, and avoid growing Bermuda grass much shorter or longer than 1 inch, which can affect growth. 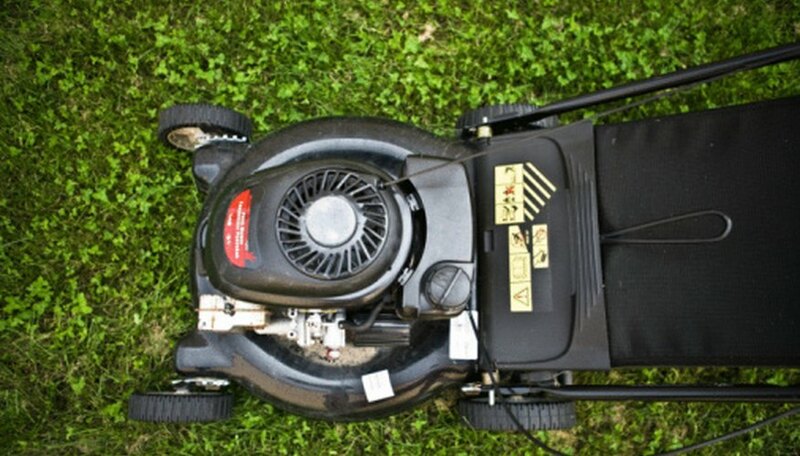 Cut the grass two or three times a week to maintain a 1-inch level without removing too much height at once. Water Arizona Bermuda grass from April until October. Watch the grass for signs of dryness, then add enough water to moisten the top 6 to 10 inches of soil. Water Bermuda grass every three days in the hotter summer months. The University of Arizona suggests sliding a screwdriver 6 inches into the ground to check that the soil is moist enough that the entire shaft slides in without resistance. Apply the water in the cooler temperatures just before sunrise. Fertilize Bermuda grass in Arizona monthly between March and September. Apply the fertilizer at a rate of 1/2 or 3/4 lb. nitrogen for every 1000 square feet of lawn, in June, July and August. Water the fertilizer and spread it to work the particles into the lawn's soil. Dethatch and aerify the lawn in July, although lawns in lower desert areas can also be processed in June and August. Work the lawn after night time temperatures settle above 60 degrees Fahrenheit. Apply a pre-emergent weed control for summer weeds during the end of February for lower elevations, and in April for higher elevations. Control fall and winter weeds by applying a pre-emergent weed herbicide in November for desert areas and September in the midlands. Avoid overfertilizing Bermuda grass, as this can burn and kill the lawn.